After about eight months of not running I have fixed my nightly builds of KiCad for OS X. I have finally found the time to switch my KiCad repository over to the Bazaar and launchpad system that the KiCad developers have been using for some time now. After a few changes here and there and updating wxWidgets to 2.9.1 I have the nightly build system back up and running. The build script I am using is given at the end of this post in Listing 4. 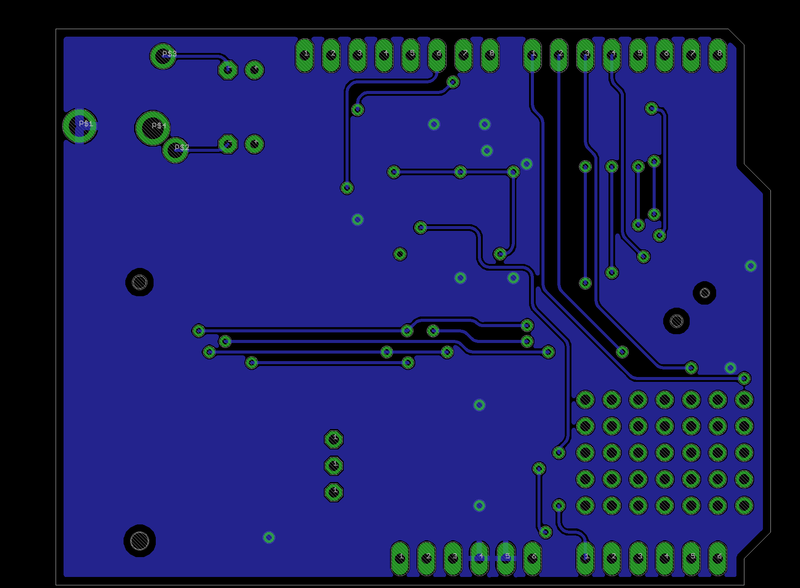 The KiCad compiling instructions for OS X have been updated and now work a lot better. You should be able to find the latest version over at launchpad here. In case anyone else runs into similar problems I have repeated some of the errors and my hacks/work-arounds solutions below. The nightly builds themselves are here as usual. Getting it to compile again. After following the compilation instructions referred to above, I ran into the following error. After a bit of web crawling and reading development lists I found that I needed to use the XML library built into wxWidgets rather than the system one. This was fixed by adding the --with-expat=builtin option when configuring wxWidgets. This then lead me to another error to do with wxWidgets headers using anonymous enums and anonymous types. Part of this second error is shown below. Rather than figure out which flag to set on the cmake/compiler/linker mess, I went for a brute-force approach that I found here after a small amount of searching. I have expanded from the script given to the ones below to account for the particular style used in the wxWidgets header files. Listing 1 is the original script given which enumerates the anonymous enums with a name consisting of the filename (without the extension) and a random number from 0-99. This next command I adapted from the first to account for the fact that the style of the wxWidgets header files meant that a lot of the enums were declared with the keyword enum alone on a line with the rest of the declaration on the following line. This finds those declarations and assigns them a name similar to the first script but with a number from 100-199 to ensure we don’t repeat names already given. It is shown below in Listing 2. Listing 2: Small script to replace all occurrences of “enum” with “enum en_filename1XX ” where “enum” occurs by itself on a line and assuming the rest of the declaration continues on the following line. The problem with the previous two scripts is that they use a random number to assign the unique identifier. Being random there is the possibility that this number can come up twice. This last command (Listing 3) helps us check for duplicate names generated by the previous scripts. We then need to go in and fix the duplicates by hand. Listing 3: Command to check for duplicate names created by previous two scripts. A single script could be written to give unique identifiers to all the anonymous enums and ensure that the identifiers are unique. But as this was a quick enough process and solved my problems I haven’t bothered to refine it further. Perhaps next time I update wxWidgets I’ll give it another thought. I thought this was a useful enough hack to share. Listing 4 below shows my daily build script which automatically updates the code to the latest development snapshot via Bazaar. Next it will check if the version has changed and if so build and package the latest version. If this all goes well we compress the new version into an archive and upload it to the website. If the compilation does not complete according to plan then the error log and some other useful information is uploaded to the website instead. Note that all usernames and passwords have been changed to placeholders in this version. This is run every day (or night depending on your time zone) by a cron job. 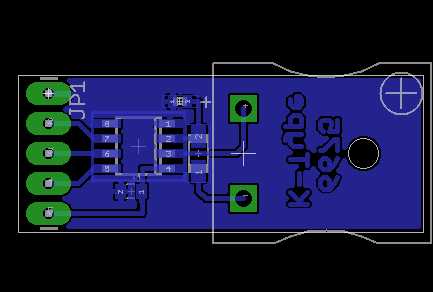 So if you want to test the latest developer build of KiCad on OS X then look no further than here. 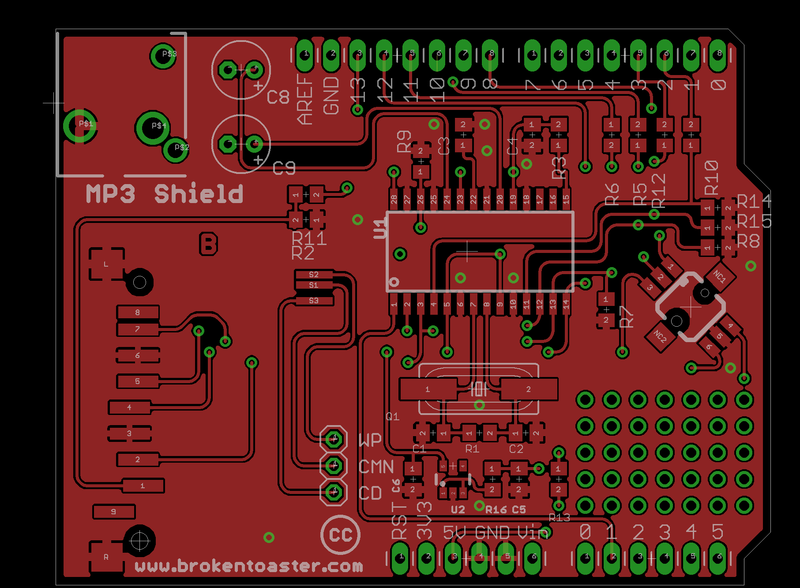 Last week I managed to have some luck with my Arduino MP3 shield. 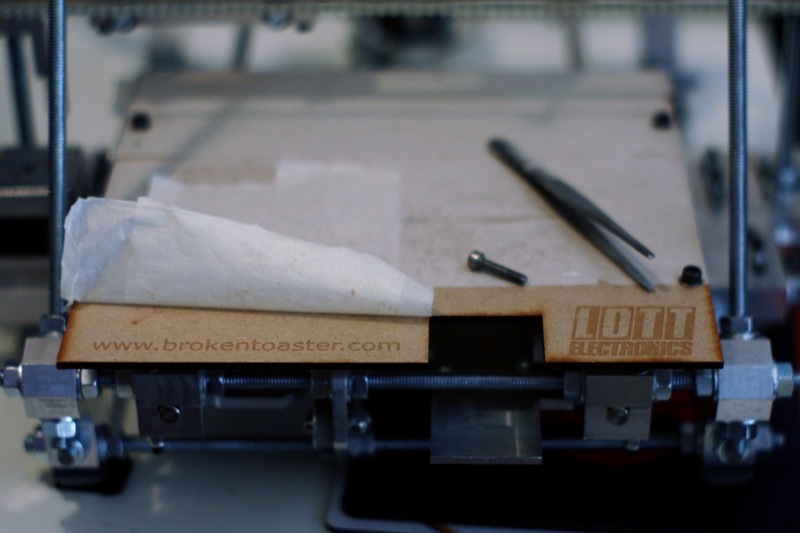 The big hold up was caused by not having enough power from the FT232RL chip to supply the decoder and the memory card at the same time (50mA max d-oh). 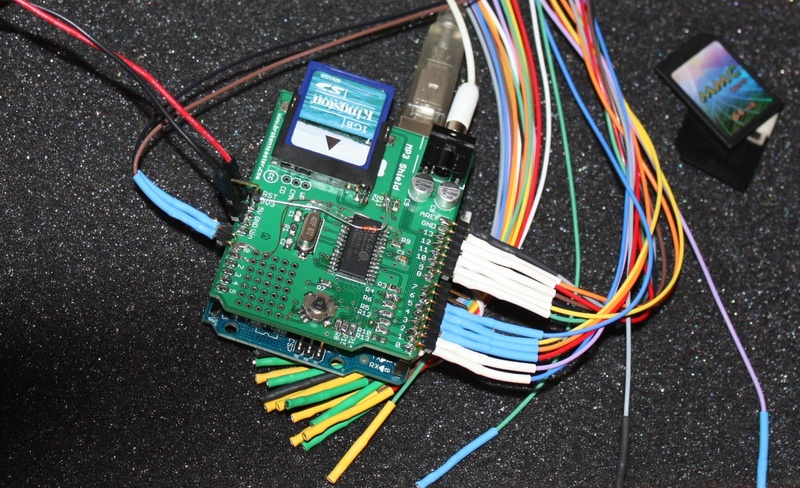 I also had a software issue, I had not altered the code to deal with the 16Mhz clock speed of the arduino from the 8Mhz I was using on the ButterflyMP3 project. The SPI clock was running at 8Mhz where it needed to be slower than 6MHz (to comply with the VS1011E datasheet). Once I had that sorted everything just popped into place and started working reliably. I apologise in advance for the poor integration of the library examples. I have simply and quite roughly ported the minimal parts of my buterflymp3 project over to the arduino and this hardware. The examples will test reading FAT16 file system on the MMC/SD card, test the VS1011E decoder chip, and play the first mp3 file found on the memory card. I hope to get these tidied up later but have not had any time to do so lately. Here are all the files so far. These are all released under a Creative Commons 2.5 license . To use the library simply put the “mp3” folder from the zip file inside the “libraries” folder in your arduino folder (create one if it doesn’t exist). Restart Arduino 018 or later and you should have “mp3” entries in the menus under examples and import libraries. The BOM references a 2.8V LDO voltage regulator but the schematic shows a 3.3V. Either will work fine but the 2.8 will give you slightly lower power usage. As always any comments, suggestions or ideas are welcome.